Finnair is now operational with its new seasonal scheduled route from Helsinki to Bologna. This morning in Bologna at 9:17 am (thirteen minutes early) the first flight from Helsinki operated by Finnair with Embraer 190s with registration OH-LKE is landed at Guglielmo Marconi International Airport. 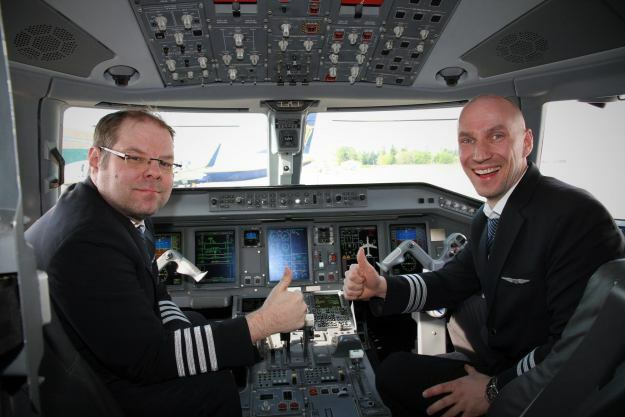 This is the first Finnair nonstop flight between the two cities. The new route will be operated three times a week until October. The cutting of the cake at the gate was the celebratory event of this day that sees Finnair open this new line. From June to September, coinciding with the opening of the new American Airlines flight Philadelphia – Bologna, the frequencies of Monday and Wednesday will be in perfect coincidence. Finnair not only sells the Helsinki – Bologna segment now, but can also sell Bologna to Philadelphia and viceversa fully commercially. Marco Finelli reports from Bologna. All photos by Bologna Airport via Marco Finelli.